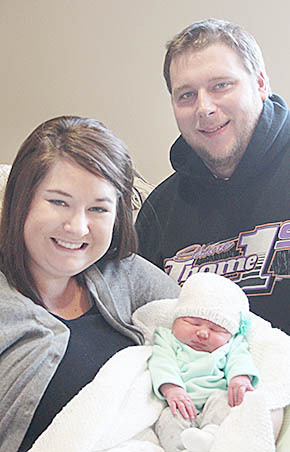 Boone County Health Center welcomed the New Year’s Baby of 2015 on Saturday morning, Jan. 10. She is Allison Jo Molt, daughter of Mat and Jennifer Molt of rural Albion. Allison is the Molt’s first child. Details in the Jan. 14 Albion News Print and E-Editions.